Undeterred by his spills the spring and summer of 1900, and against everyone’s advice, Harry entered The Cad in the $10,000, 3 ½ mile Champion Steeplechase at Morris Park, Saturday, October 6, 1900. Ollie Ames met him at the clubhouse that Saturday morning. “ ‘You are not going to run The Cad are you?” Harry recalls Ollie saying. “ ‘He’ll break your neck!’ ” Next, Mr. B. F. Clyde of Philadelphia admonished him, “ ‘Now, look here, Harry Smith, I have seen you ride a great many times around New York, Philadelphia and Saratoga; I have the greatest admiration for you as a sportsman, in fact I am very fond of you. Now, Please don’t take your life in your hands and ride The Cad today against all those professionals.’ ” It seems Mr. Clyde had his money on another horse; Harry thanked the man and walked away. Odds were twenty to one against Harry on The Cad. Silas Veitch was the favorite on “Plato.” “There’s an old Arab saying,” Harry writes, “ ‘The grave of the horseman is always open’ … I am frank to say, that while I don’t worry, I appreciate the chances.” Harry was an amateur running against a field of six professionals. When it came right down to it, who in his right mind would bet on him? “As there were only seven horses it took only a moment or two to get us in line, and down went the flag!” From start to finish “right at my left was Veitch with Plato.” The course started and ended on a track, but the jumps were on a left-handed circle up and around a water tower on a hilltop. There was a sod-topped stone wall measuring 4’9”, a wide water jump, a Liverpool with a ditch and several 4’6” hedges. “The Cad was full of running,” Harry writes. “My mind was running apace as to how I could best win and when to make my run.” Halfway through the race, The Cad “sailed” at the water jump “and landed fully two lengths the best of Plato,” but took the bit and ran straight instead of rounding the next corner, putting Plato four lengths in front. The Cad caught up at the Liverpool and then, at the sod-covered stone wall Harry “saw Plato change his feet and knew instantly he was tired.” Another horse had earlier crashed through one of the hedges, making a hole, and Harry aimed The Cad straight at the hole. William C. Whitney later said to Harry, “Why, I never saw anything like it! You were running at top speed neck and neck and suddenly like a skyrocket The Cad went to the front and you had six lengths going to that hole in the next jump!” Next jump, he “took off at the edge of the wing and must have cleared twenty feet.” Around the track and the last time over the Liverpool: “All my life I shall remember that jump,” Harry writes. “Knowing that I was going to let him go at it at full speed The Cad seemed to spurn the ground and so perfectly did he time his takeoff that he glided over the far side hedge and seemed to only touch the ground lightly as he landed and went on all in perfect rhythm.” Now it’s a horse race. 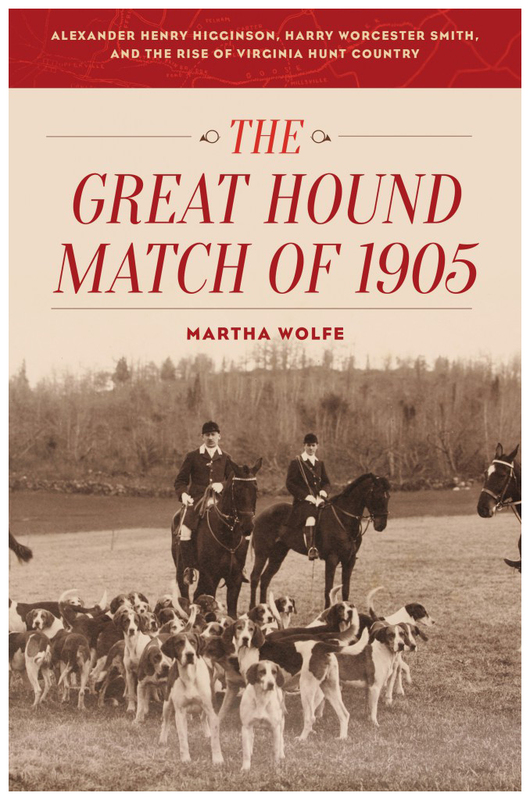 The Cad was one of Harry’s mounts in The Great Hound Match of 1905, the contest between Smith’s American-bred foxhounds and Alexander Henry Higginson’s English hounds in November of that year. But that’s another story.